Good news, a couple weeks ago I was asked by the Born Pretty Store to review some products for them. Of course I was agreed and was completely stoked! Let me start by saying they arrived super duper quick and there was no damage. Firstly, I have some Neon Heart Studs in green. These came in a tiny zip lock bag with a quantity of about 90? I think.. They were super easy to apply and stayed on for a while with only topcoat holding them! The only problem with these is that they're a little big, but I guess that's okay. 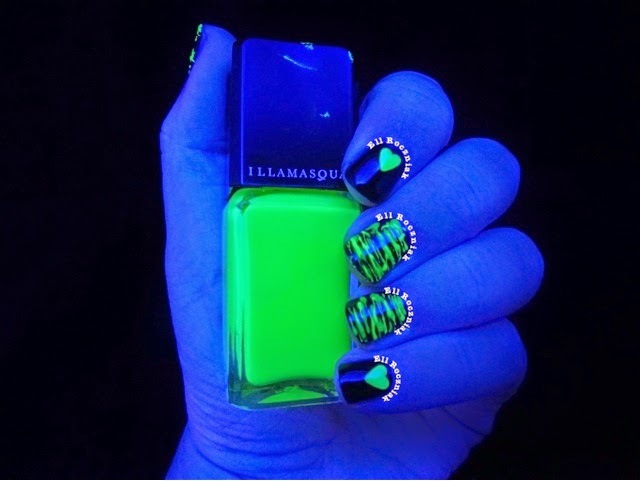 They also GLOW under black light which I thought was amazing!! The other item I received was some White Rose Nail Decals, although these weren't what I requested they're still very pretty! I was very surprised about how easy they were to apply, except the instructions weren't too easy to understand so I actually Googled it. 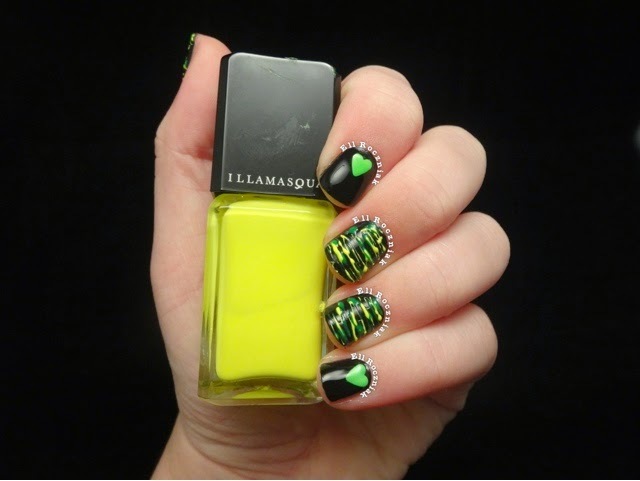 These are great because you can create different looks each time you wear them and there are no two of the same! Overall, I'm very impressed with the quality and look of the items I was sent from the Born Pretty Store. They have also provided Me with the discount code " DLLX31 " to share with you guys! This code will give you 10% off your order, and if ten people use it i can host a giveaway :) The Born Pretty Store has a FANTASTIC range of products and I can't wait to show you more of their stuff.. Get shopping lovelies! The reason for my absence you ask? Well, I actually ran out of things to post! I try to keep this blog strictly hand made items only and well I just didn't have anything to post. That's changed now though because last week I ordered from Powder Perfect and Jacinta sent me two extra polishes to review! First we have Fallen Chandelier, a mix of silver, gold and iridescent glitter in a clear base. Here is one thick coat over a black. Application was easy, but you needed to move it around a bit so it didn't get too thick. There was absolutely no fishing for glitter as there is just SO much! Here is three coats with two coats of topcoat. Application was super easy drying time was quick. 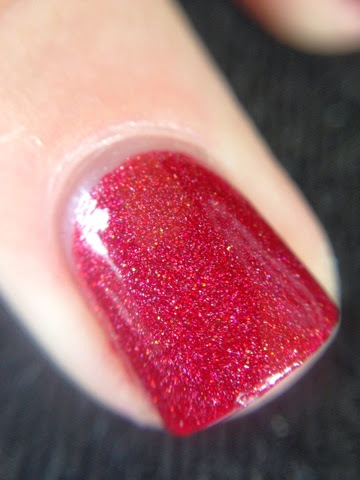 Ths polish actually surprised me so much, looking at other swatches I thought it was a boring red holo. Gee, was I wrong. This gorgeous polish also dries semi textured but is also so glossy when topcoat is added. This is defiantly a favorite red of mine! 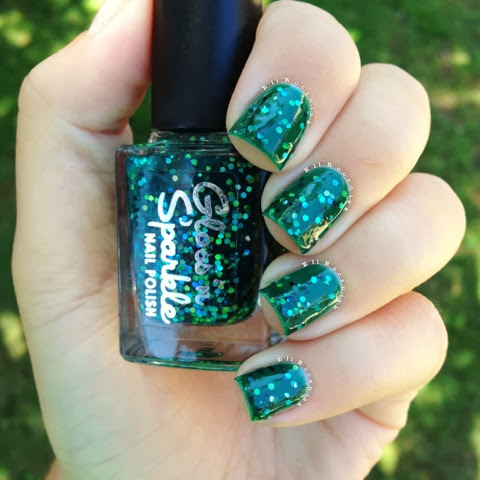 Today I have a polish to show you that is a new to me brand, although it has been around for quite a while! I bought this baby from a blog sale and I don't regret a single thing! Also, did you notice a difference in my photo? I finally bought a light box and lights and am still trying to figure it out but I am loving how better the quality is then my previous pictures! This polish was a little hard to photograph because of the base, but trust me.. It's gorgeous! Long time no post! I've been fairly busy lately with school starting back up again and the summer heat lately and just haven't been bothered to blog. I also ran out of indies to post about ( Nooo! ) but I found an old polish of mine that I haven't swatched yet so here it is.. Mother Is God 2.0 is a plum like creme base with rose coloured large holo hexes and small pink glitters. Here is just TWO coats with topcoat! Application was so good I didn't even have to do any clean up, it really was a dream to apply. The bigger glitter didn't come out as much as the small hex but it gave the polish a nice sparse effect. I really liked this more then I thought I would! Well well well, I haven't posted in over a week :o silly me! I've been so busy lately and just haven't been able to sit down and write down a review but I did this swatch a couple of days ago! Before I start, I'd like to say this is my first polish from this brand and I have no idea why I took so long to purchase from Gloss n Sparkle. Today I have my first polish from Peita's Polish to show you all today! Yet again, like last time this polish was from the What's In-die box and is no longer available for purchase which is a same because this one is GORGEOUS! 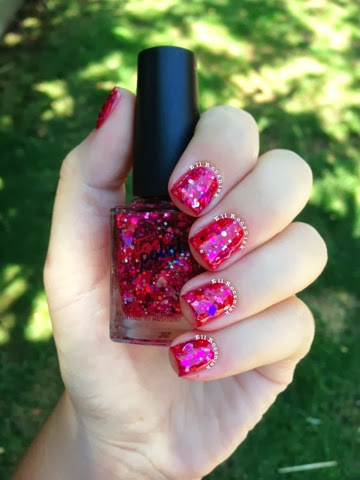 Labels Or Love is a total glitter bomb! 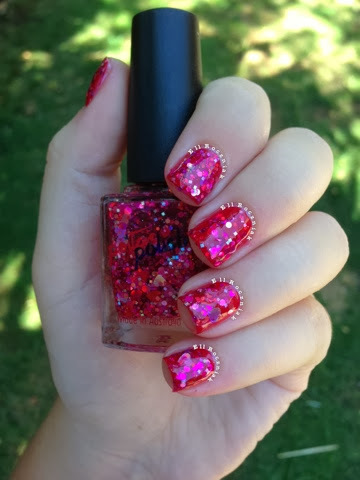 - hex, circle, square & heart glitter in a very sheer pink/red base. 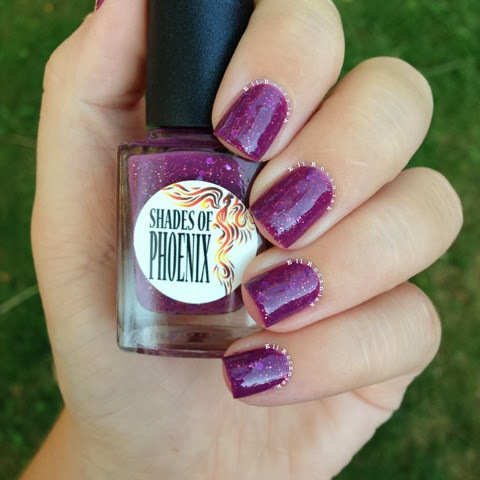 Like I said, this polish isn't available anymore :( BUT you can still check out all of the other polishes Peita's Polish has to offer. I know I'll be making an order very soon, click hereto take a look. Yay, nail post! 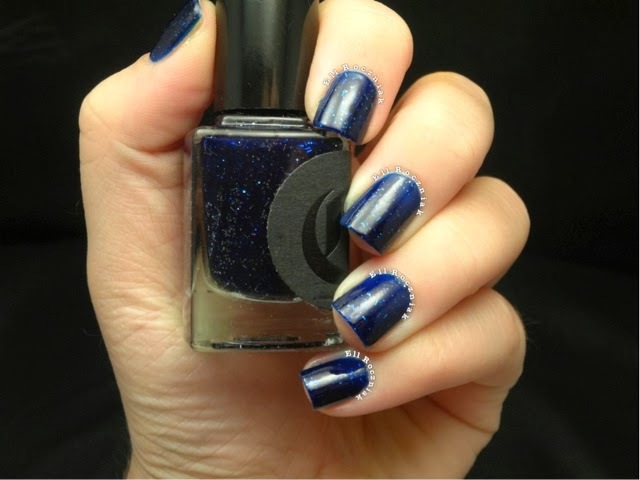 Today I'll be showing you a polish that I bought in a blog sale a while ago. Before I show you this polish, I just want to say that it is no longer up for sale. It was included in the ' What's Indie Box ' for October. It's a box that has 5 indies that are exclusive to that months box. 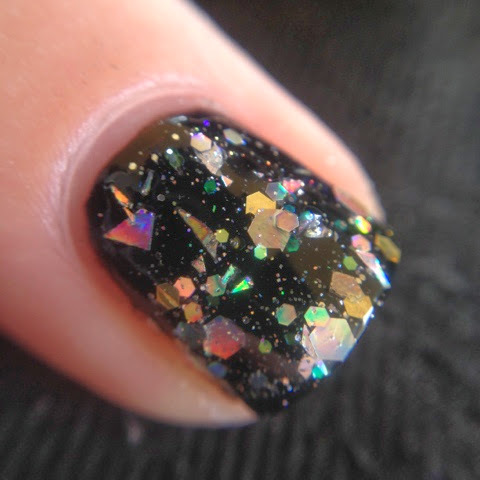 Anyway, let's go..
Allhallows Eve, a unique mix of metallic square and hex glitter in a black jelly base. Here is 4 thin coats with Seche Vite topcoat. The polish application was really good, there was so fishing for glitters and it went on very smoothly. The base is a little thin but it doesn't effect the application in anyway. 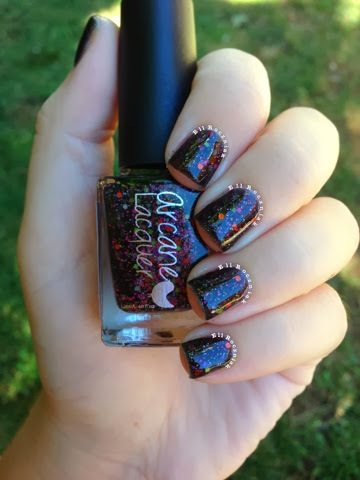 I love how all the glitter just pops in the sun, but then again I love colored glitter in a black base! As you can tell, I absolutely LOVE this polish. It's actually meant to be a Halloween polish, but I don't see anything scary about it ;) hahaha. You could wear this anytime of the year, it's just so pretty. As I said, this polish is no longer available but Arcane Lacquer has a lot of other gorgeous polishes in range. 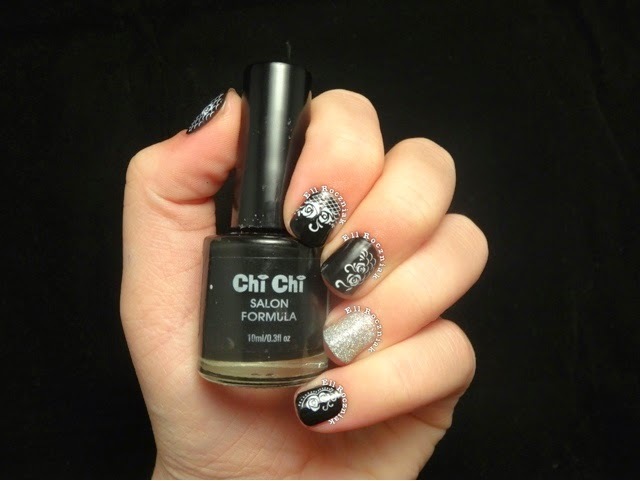 You can check them out by clicking here..
14 year old from Australia who loves nail polish!